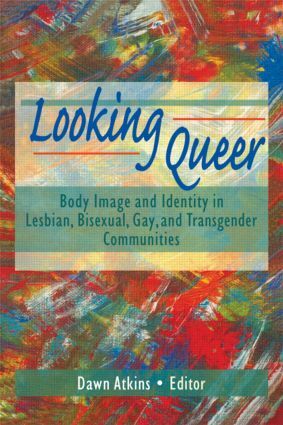 Looking Queer: Body Image in Lesbian, Bisexual, Gay, and Transgender Communities contains research, firsthand accounts, poetry, theory, and journalistic essays that address and outline the special needs of sexual minorities when dealing with eating disorders and appearance obsession. Looking Queer will give members of these communities hope, insight, and information into body image issues, helping you to accept and to love your body. In addition, scholars, health care professionals, and body image activists will not only learn about queer experiences and identity and how they affect individuals, but will also understand how some of the issues involved affect society as a whole. Revealing new and complex dimensions to body image issues, Looking Queer not only discusses the struggles and hardships of gay, lesbian, bisexual, and transgendered persons, but looks at the processes that can lead to acceptance of oneself. Written by both men and women, the topics and research in Looking Queer offer insight into the lives of people you can relate to, enabling you to learn from their experiences so you, too, can find joy and happiness in accepting your body.